Why Did Protagoras Use Poetry in Education? Like Plato, Protagoras held that young children learn virtue from fine examples in poetry. 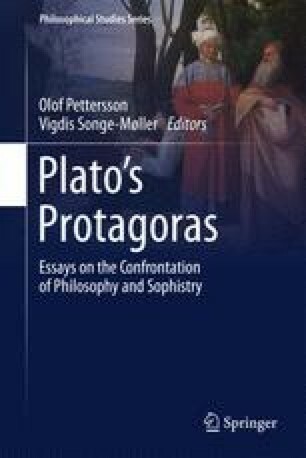 Unlike Plato, Protagoras taught adults by correcting the diction of poets. In this paper I ask what his standard of correctness might be, and what benefit he intended his students to take from exercises in correction. If his standard of correctness is truth, then he may intend his students to learn by questioning the content of poems; that would be suggestive of Plato’s program in Republic III. But his standard is more likely to be the accurate use of language; in that case he would intend his students to learn to express their thoughts clearly enough that their audience would understand what they were saying. That standard would be independent of the truth of what they are saying; and that would be a precursor to modern techniques by which we try to teach speaking and writing. Truth is not so easy to escape, however, and we shall see that Protagoras’ exercise must assume that the poet is trying to tell the truth.